Considerable overruns in time and money and often not achieving promised levels of performance are not uncommon in complex construction projects. The relevant question is here how the dynamics of complexity can be properly translated into appropriate construction management practices, and if there are already successful cases in this respect. The literature on project management is almost endless: on the internet some three hundred book titles on the subject can be found over only the last few years! The library of the authors' university offers some six hundred books on the subject. Apparently, the impact of all that wisdom is piecemeal when it comes to complex projects. 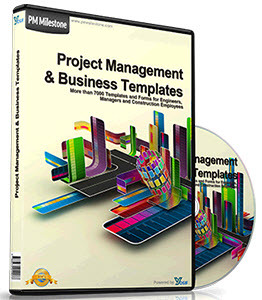 It can be noted that the part of the project management literature that is focused on complex projects is mainly an extrapolation of the best practices for managing simple projects. Such extrapolation can be dangerous, because the issues and problems in both cases are very different, and so are their solutions. Best practices for managing relatively simple projects have become myths of project management, when it comes to complex projects. A. Cutting off all sea arms by adequate dams and dykes. This option, which would provide the highest safety, was strongly preferred by the Zeeland population, but rejected by environmentalist pressure groups. They feared that valuable ecosystems would disappear. B. Increasing the height of the existing dykes. The Zeeland population -which had suffered a loss of 1835 lives in the 1953 flood - considered this option not safe enough. C. A compromise: Option A, but with openings in the main dam. These openings could be closed during storms and spring tides. The Dutch parliament accepted option C, and Joop Den Uyl's government was saved. That evening, some engineers, including the first author of this book, were having a beer at their former student's club. Their gut feeling was that the price difference between option A and option C would be much more than was promised by the prime minister. They all wrote their personal estimate on the backside of their beer mat. The beer mats were collected. The average of the cost estimates for option C was € 3.6 billion, so more then twice the number given by the prime minister. 2. 'Compartment'-works (Philipsdam, Brouwersdam) necessary elsewhere to make the dam with openings feasible. If the costs of these are added, the total costs become: € 2.27 billion, price level 1976; € 3.27 billion, price level 1986; € 0.27 billion, budget overrun; € 3.54 billion in total. The engineers also predicted that the technology to develop such a dam would be hard to commercialise and that the maintenance would become a serious problem after the year 2000. In these respects their gut feeling also turned out to be correct: the market in the world for such dams proved to be non-existent, and nowadays maintenance is becoming a serious burden. The reader will undoubtedly remember similar cases. We take the view that appropriate managerial approaches and best practices for complex construction projects are fundamentally different from those for simple projects. In short, what works on a small scale in a simple and rather predictable situation does not necessarily also work when scale and complexity increase considerably. Most of the literature on project management is implicitly based on the incorrect assumption that what is true for simple is also true for complex. we present the policies, best practices, and in particular attitudes, that are required for effective project management of complex projects. In Chapter 4 we describe the consequences of applying managerial concepts for simple projects to cases that are actually complex and vice versa. In the introduction to Part II, Cases, Chapter 5 we outline how we validate the theory given in Part I, using on the one hand lessons from failures and on the other experiences from successful projects in which exceptional managers have intuitively applied the managerial concepts (given in Chapter 3) that are appropriate for complex construction projects. In Chapters 6, 7, and 8, we present post-mortem analyses of, respectively, the renovation of the former KLM office in The Hague, the expansion of Schiphol Airport Amsterdam, and the new office for the broadcasting organisation VPRO. These chapters, which describe lessons from failures, are based on material collected by the authors' graduation students. Chapter 9 and 10 deal with lessons from successful projects in which the management practices (given in Chapter 3) appropriate for managing complexity prevailed to a large extent. 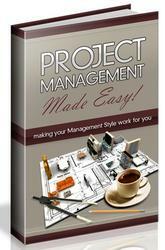 These Chapters are largely based on interviews the authors held with the project managers concerned. Chapter 9 describes the successful design and construction of a $ 0.6 billion chemical plant in Singapore by a Shell-Mitsubishi joint-venture. The conclusion of this chapter has been expanded with the experiences from the project manager's subsequent construction project. Chapter 10 describes the renovation of the city centre of The Hague. We close with Chapter 11 on IT tools in design and construct management of complex projects and a summary of our findings.